Member of WFNS, WFITN and ESMINT (European Society of Minimally Invasive Neurological Therapy). In 1996, he started to routinely perform endovascular and microneurosurgical procedures at Hygeia Hospital in Athens. Since 2001, he is the Director and Head of the Neurosurgical Department, in the same hospital. The Hygeia Hospital Neurovascular Center is the greatest reference center for neurovascular diseases and the only one reference center for bypass surgery, in Greece. He often participates in international conferences as invited speaker and he is involved in many publications for various neurovascular disease topics. 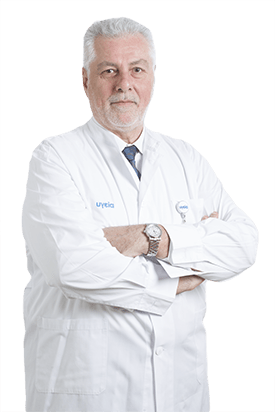 He is also involved in the faculty of European hands-on micro-anastomosis training courses at Vienna University and he runs an annual “microvascular neurosurgery” hands-on training course, in Athens, Greece.